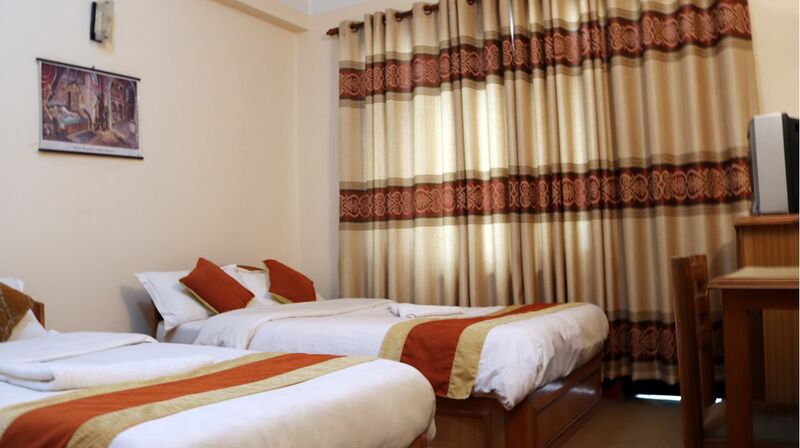 We provide accommodation at highly competitive rates. Roof Top terrace providers relaxing environment, where you can enjoy views of the mighty Himalayas such as Mt. Ganesh Himal & Langtang etc. The famous Swayambhunath stupa and various monasteries which dot the hilltop of Kathmandu valley. Be an additional luxury for you to indulge in the shake of the load you to smart under the elevate your mood and spirit in the genuinely informal atmosphere at Kathmandu Peace guest house. The unique experience and that you will long remember the genuine Nepalese hospitality from our friendly staff as well as their homely atmosphere.